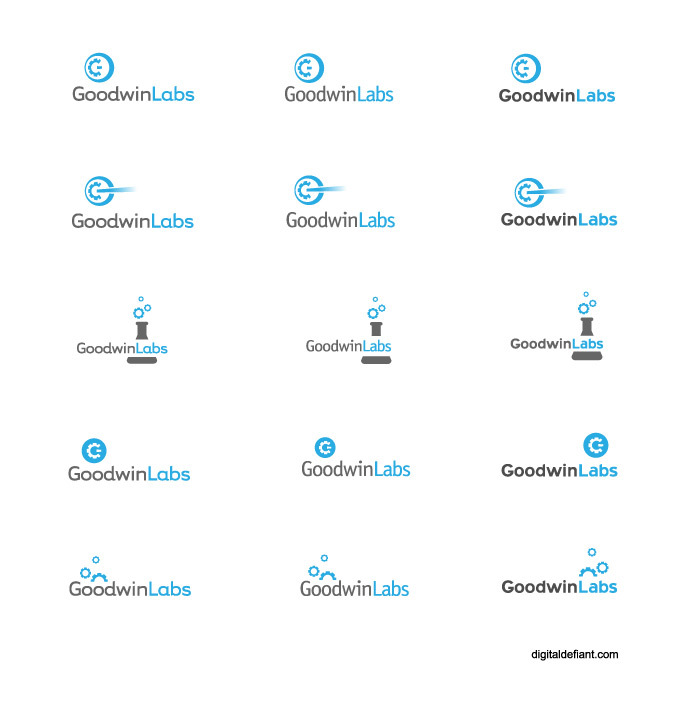 Goodwin Labs specializes in cocoa and ruby development. The logo was for application development so I used a gear icon as the primary driver. The initial logo designs and variations. I used the gear in various examples before finally settling on a version that used a G combination. I also skewed it slightly to add some perspective and give it more character. 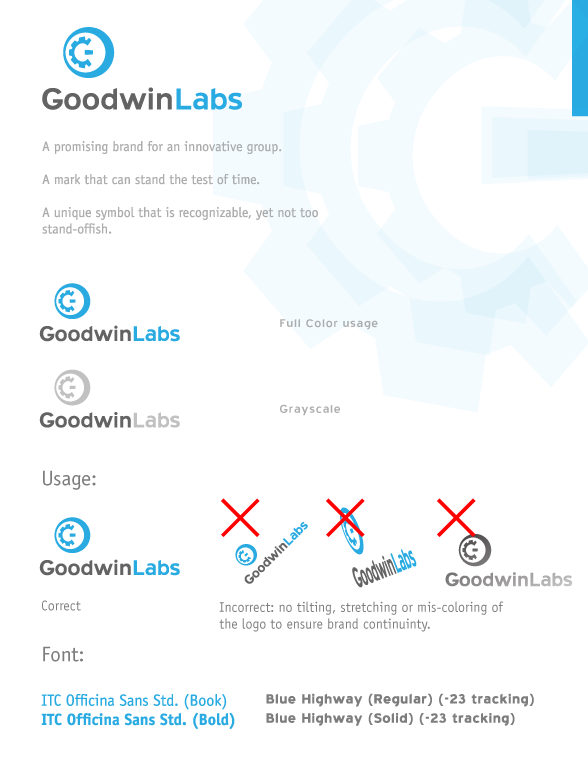 Along with the logo I also created a very basic styleguide to be used for vendors.